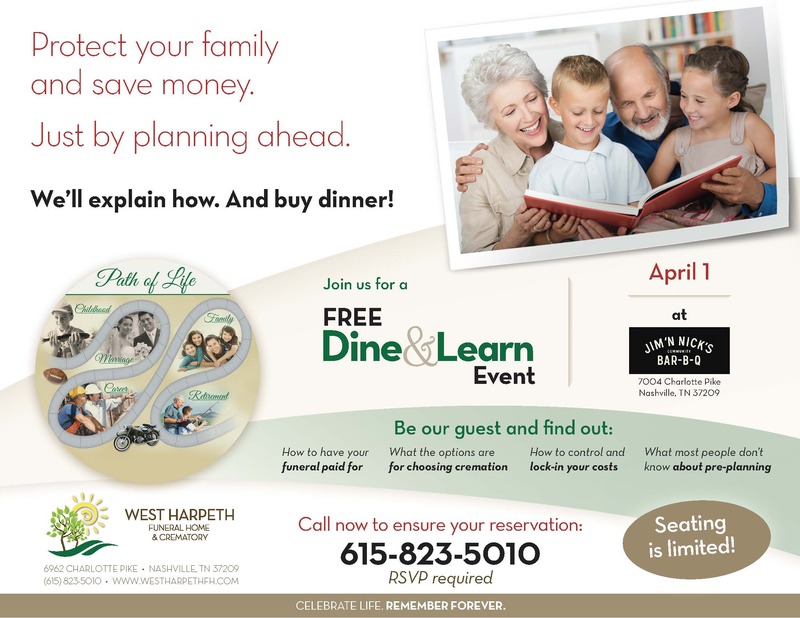 Join us on April 1 at Jim ‘N Nicks Community Bar-B-Q for a FREE dine and learn event. Learn how to protect your family and save money by planning ahead. RSVP is required! Call 615-823-5010 now, seating is limited!